Suggested resources to enhance your understanding of early human life as well as your faith journey. Click on the image for help accessing the work. The Concentration Can. 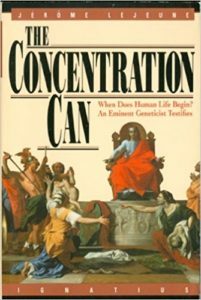 World-renowned geneticist Jerome Lejeune presents a fascinating account of his testimony about the origin of human life during a historic court case in Marysville, Tennessee. Acorns and Embryos. 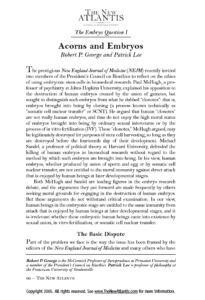 “But are human embryos human beings?” Robert P. George, Patrick Lee. The Power of Silence. 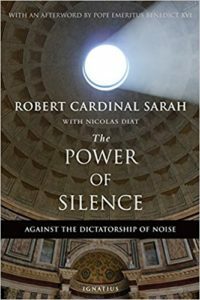 “Through silence, we return to our heavenly origin, where there is nothing but calm, peace, repose, silent contemplation, and adoration of the radiant face of God.” Robert Cardinal Sarah. 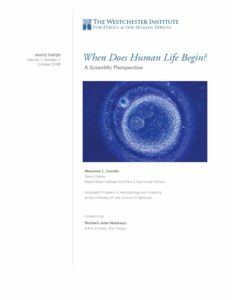 When Does Human Life Begin? A Scientific Perspective. “The debate in our society and others is not over when human life begins but is over at what point and for what reasons do we have an obligation to respect and protect that life. Before we can get to that argument, however, we need to clear the smog surrounding the question of when human life begins. This White Paper makes an invaluable contribution to that end” (from the Foreword). 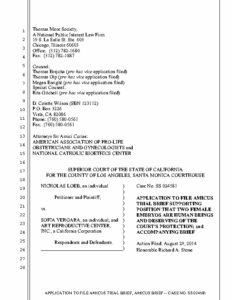 Paper author: Maureen L Condic, Ph.D.